Chinese New Year is just around the corner. I’ve always had a fascination with Chinese traditions, from the Zodiac where I was born in the esteemed Year of the Dragon, to the ancient culture, and of course, the food. 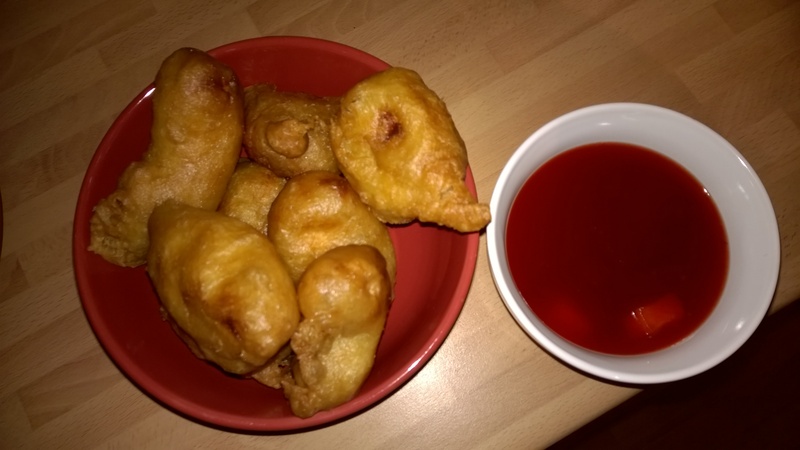 To celebrate Chinese New Year, the folks at hungryhouse have created an interactive guide to help you stage your own Chinese New Year takeaway feast in the comfort of your own living room. The guide includes New Year traditions, food suggestions, a special Chinese do-it-yourself cocktail recipe, and step-by-step instructions on how to make your own funky Chinese lanterns. I headed over to the guide to check it out and get myself a Chinese feast of my own. The meal suggestions include Spring Rolls because Chinese New Year is also called the Spring festival, Char Siu Bao (my favourite) and Beef in Black Bean Sauce, which apparently has its roots in the Ming Dynasty. 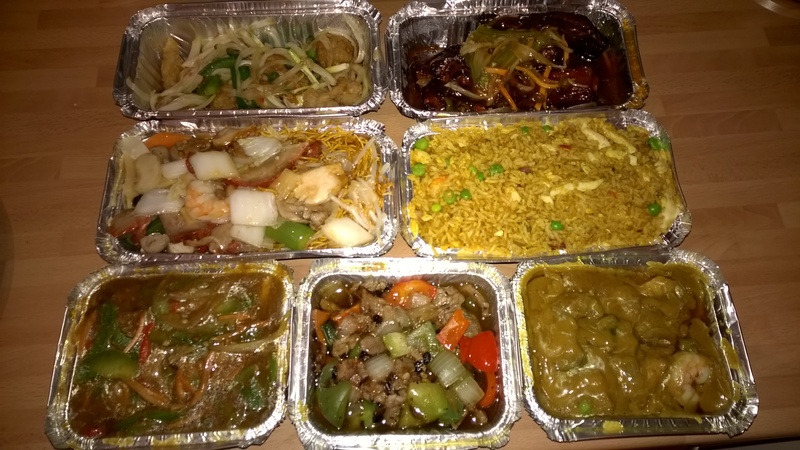 I hit the ‘Find Takeaway’ button to get a list of takeaways delivering to my area. Dragon Court in Kingstanding was top of the list so that’s where I ordered from. 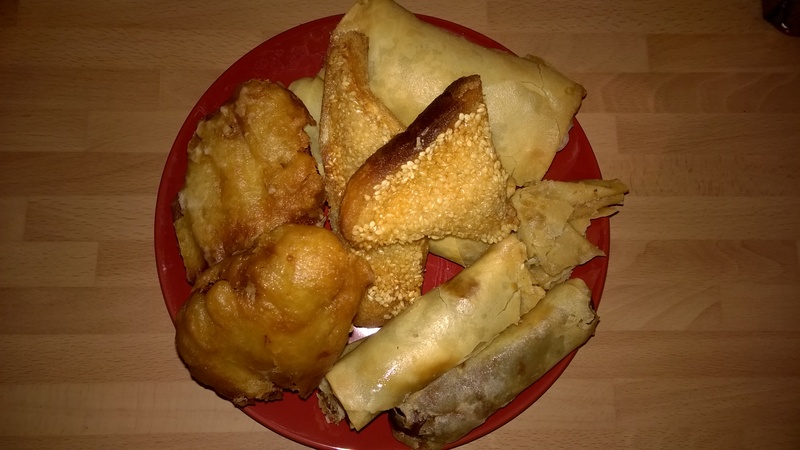 With £50 to spend, we ordered a tonne of food: Spring Rolls, Dim Sum Combo, 1/4 Crispy Aromatic Duck, Chicken Balls in Batter with Sweet & Sour Sauce, Beef in Black Bean Sauce, Kung Po Ribs, Chicken Satay, King Prawn Curry, Salt & Chili Squid, Singapore Fried Rice and Special Chow Mein. We also received 2 bags of prawn crackers, a bottle of Coke and 8 fortune cookies free. I loved the Beef in Black Bean sauce, the beef was tender with that intense savoury flavour from the black beans, with crunchy green peppers for texture. The Singapore Fried Rice was lovely too, with a mild curry flavour and shrimps, chicken and pork mixed in. 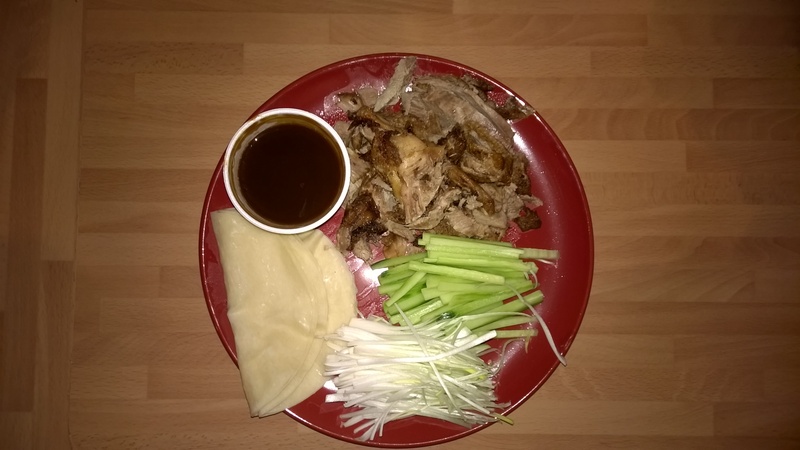 The Crispy Aromatic Duck came pre sliced, whereas I prefer it on the bone so I can shred it myself, but the flavour was good with a subtle hint of five spice and rich hoi sin sauce to go with it. I also loved the Kung Po ribs which were sweet, sticky and spicy with lots of meat on. The Spring Rolls and Dim Sum combination were all quite greasy as they were all deep fried, but the Prawn Toast was good. Traditional Chinese food it isn’t, but if you’re looking for a great value meal to share with friends to bring in the Chinese New Year then the Dragon Court won’t disappoint. Of course, I had to end the meal with a fortune cookie. My nugget of wisdom was “if you desire to take from a thing, first you must give to it.” Thanks Confucius! But if your meal doesn’t come with any, there’s even a cute fortune cookie generator on the guide. To celebrate the launch of the guide, hungryhouse are asking people to make a lantern and share a photo of it on twitter or instagram with the hashtag #hungrylantern. 10 winners will each get a £25 hungryhouse voucher. Winners will be selected on the 19th of February 2015. So, get your chopsticks out, dive into the guide, and get snapping for your chance to win some free Chinese food! Kung hey fat choi! I was approched by hungryhouse to review their Chinese New Year guide and my meal from Dragon Court was complimentary. All opinions remain my own. For full competition terms and conditions, please see the hungryhouse website.